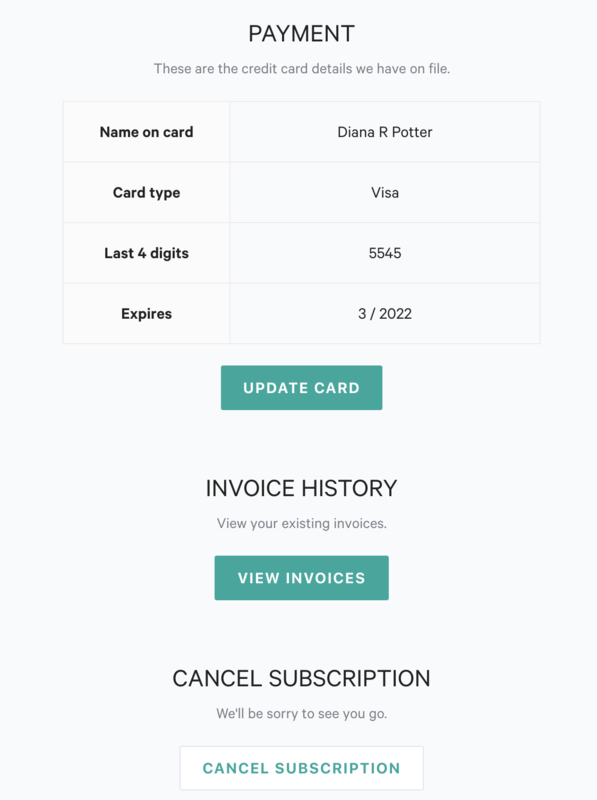 Do you want to view your receipts or add additional information (like your address or VAT number) to them? Look no further! Note: This setting is only available to account admins. To view your past receipts and make changes to your billing method, heading to your Settings → All → Subscription & Billing. From there click on View Invoices. A window will popup with all of your past invoices. You'll be able to view a copy in your browser, download a PDF version, or email a new copy to yourself. This will be inserted into your receipts. 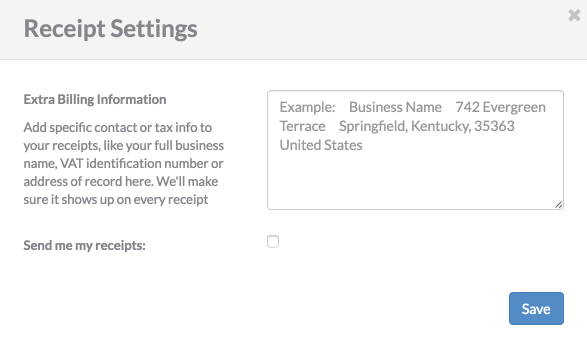 You can add anything and it's useful for when you need to include more details on your receipts.